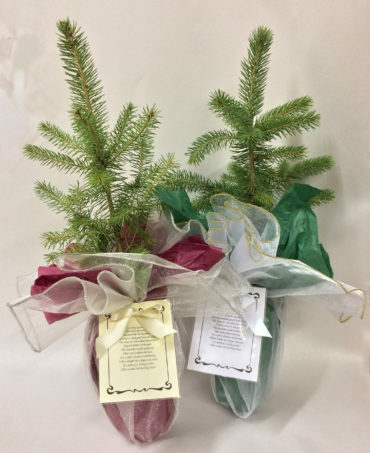 Our largest tree available, gift trees are 2-3 years old and an excellent option for corporate gifts, Holiday celebrations, and to memorialize special occasions. 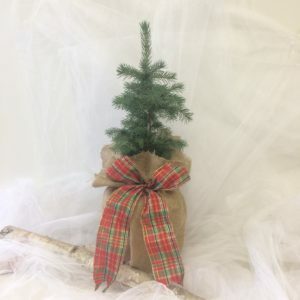 The trees are grown in a container 3” wide by 6” deep. 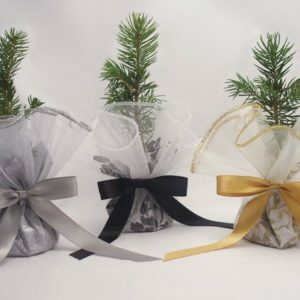 They are decorated with your choice of tissue paper and an organza bag. A personalized card is attached with coordinating ribbon. These are available in limited species, please ask for our assistance to choose the right species for your area. This gift will be one to remember for years to come. I am not sure, choose the best species for my environment. I would like more than one species. A representative will call you to confirm numbers of each species. Please enter total number of trees you want to finish your order. A representative will email or call you within 48 hours to determine method and cost of shipping to Alaska. Unfortunately, we are unable to ship live plants to Hawaii.